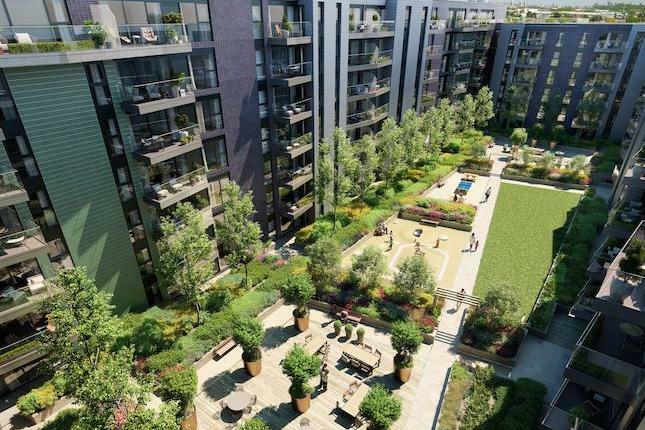 The Courtyard at Greenwich Square will be 325 apartments set around a beautiful garden square, generous on space, your own terrace or balcony takes centre stage in every home. The location is easily commutable with trains from Maze Hill to London Bridge in just 11 minutes and buses to North Greenwich in under 15 minutes. Phase one went really fast, so we’d like to introduce Phase two. The scheme comprises a mix of studios, 1 beds, 2 beds and 3 bedroom apartments with some apartments benefiting from stunning city views. Greenwich Square embraces the true spirit and cultural heritage of Greenwich; a dynamic and vibrant area, with a unique personality and a strong sense of place. Perfectly positioned between Greenwich Village and the Greenwich Peninsula, Greenwich Square's location provides the best of both worlds. In the bustling small streets and alleys, there is much to discover; quirky independent shops bursting with vintage clothes, designer fashion, bookshops to browse at leisure, a treasure trove of antiques and art, the world-famous Greenwich Market where the stalls are laden with tempting foods and goods. Greenwich is an ideal place to sip a drink in a river-side pub while deciding where to eat in one of the many restaurants on offer. Moments from Greenwich Square, as day turns to night, all the fantastic entertainment choices of the O2 arena are just a few minutes away. Just a few minutes walk from Greenwich Square, Maze Hill station provides fast links to London Bridge. Whilst the Jubilee Line at North Greenwich allows easy onward connections to Canary Wharf, National Rail, London Underground and the DLR service. The river remains a focal point for Greenwich, with regular boat services running up and down the Thames.